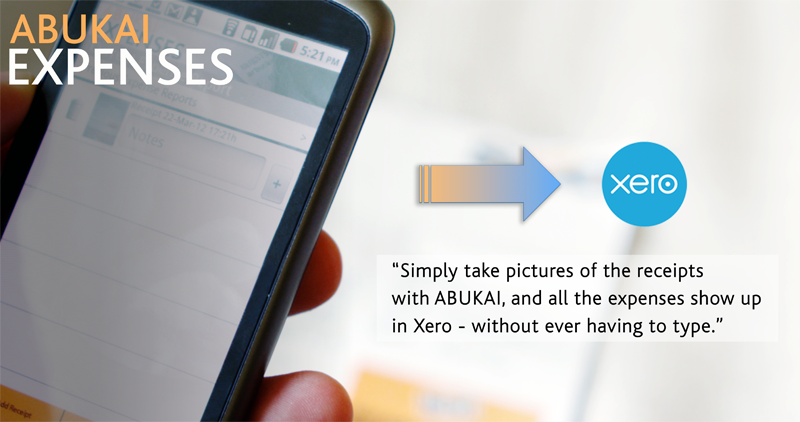 Great news for Xero customers...now they can fully access all the wonderful features of ABUKAI Expenses! Create expense reports in a snap just by taking a photo of your receipt. When ready the expense data is automatically imported in Xero as an expense claim and a copy of the photo is attached to the each receipt. Xero customers can access ABUKAI's mobile apps anywhere, anytime on an iPhone, Android or Blackberry.